SUBHEAD: Stephen Kinzer will tell the story of how the United States became an overseas empire. Image above: Photo of Stephen Kinzer at Brown University. From promotional material. 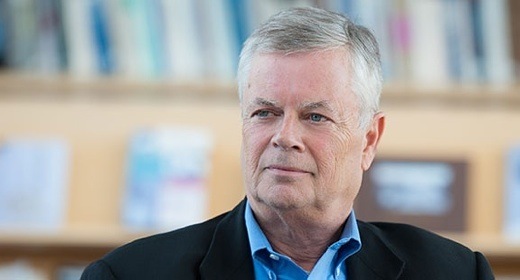 Stephen Kinzer will tell the story of how the United States became an overseas empire. His book, Overthrow: America’s Century of Regime Change from Hawaii to Iraq, shows how the annexation of Hawaii was the beginning of an era of foreign intervention. Mr. Kinzer is a current Senior Fellow at the Watson Center for International and Public Affairs at Brown University, as well as the World Affairs columnist for the Boston Globe. He is a former Foreign Correspondent for the New York Times, and has written several books about U.S. foreign policy. All programs are subject to change. If you require an auxiliary aid or accommodation due to a disability, please contact the library at least 7 days before the program date. For a list of upcoming library events, visit www.librarieshawaii.org/events. Mr. Kinzer is a current Senior Fellow at the Watson Center for International and Public Affairs at Brown University. Lecture on the history of American development into an overseas empire.